In-depth reporting and analysis from a global perspective. On the programme are a White Helmet rescuer and a chemical weapons inspector. We talk to a White Helmet rescuer and to a chemical weapons inspector. Suspended for making controversial comments about Adolf Hitler and Zionism -- but Ken Livingstone's unrepentant. We talk to Wes Streeting MP, one of his critics. And we report from Nebraska - a state which overwhelmingly voted for Donald Trump - to find out what people there think about their new president. 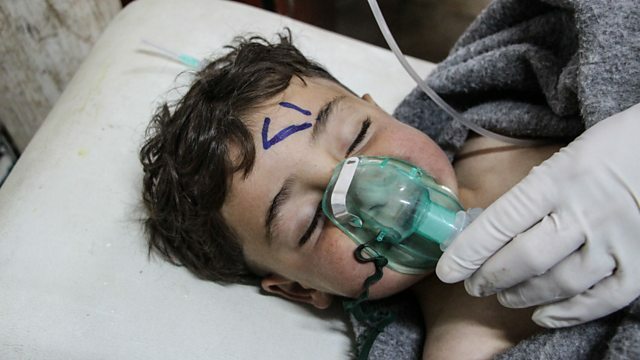 (Picture: A child victim of the chemical attack in Syria Credit: EPA).